During 2016, the Electrical Contractors’ Association of South Africa, the ECA(SA), told MyBroadband South Africa’s new plug standard would become semi-mandatory. A proposed amendment to the wiring code requires that from March 2018, all outlets in new installations must include at least one socket that complies with SANS 164–2. 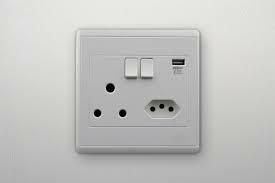 SANS 164–2 (or ZA Plug) has the same hexagonal profile as the Europlug seen on cellphone chargers – but allows for an earth pin.